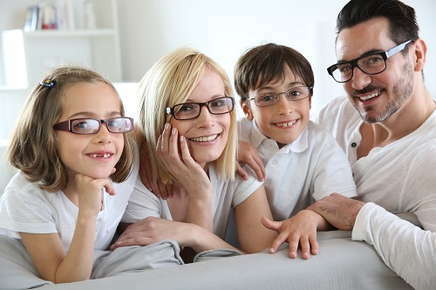 Astigmatism is an extremely common eye condition that affects both children and adults. It occurs when there is an imperfection in some part of your cornea, the clear tissue that covers your iris. Light rays pass through the cornea as they travel to the retina, a thin layer of cells at the back of your eye. The retina turns light rays into impulses that are transmitted to your brain, which interprets them as images. Normally, the cornea is completely round. If you have astigmatism, some parts of your cornea may be rounder than others, which can cause a distortion in the way light rays focus on your retina. Astigmatism is considered a refractive error because it affects the way your eyes refract, or bend, light. It often occurs in conjunction with other refractive errors, such as nearsightedness or farsightedness. If you have a mild case of astigmatism, you may not notice any changes in your vision. Many of the symptoms of astigmatism, such as blurred vision and eyestrain, can also occur if you need glasses or you already have glasses or contacts, but your eyes have gotten worse. Luckily, astigmatism can be easily spotted during an eye examination. During the examination, your visual acuity will be measured based on your ability to read letters or numbers on an eye chart. The focusing power of your eyes will also be determined, and an instrument called a keratometer may be used to measure the curvature of your cornea. These tests help eye care professionals determine if you have astigmatism. Eyeglasses will help improve your vision if you have been diagnosed with astigmatism. Although you probably will not be able to notice any difference just by looking at your new glasses, a subtle change in your lenses will allow you to see better. Glasses improve vision in people with astigmatism because the lens power is increased in a small area of a lens to compensate for the imperfection in your cornea. Some people with astigmatism feel that contacts offer better vision than glasses, but either option will help improve your eyesight. Reshaping the cornea can alleviate astigmatism temporarily or permanently. Special contact lenses that are worn overnight change the shape of the cornea, allowing you to see clearly during the day. However, if you stop wearing the lenses at night, your symptoms will return. Two types of laser surgery, LASIK and photoreactive keratectomy (PRK), permanently reshape the cornea but may have associated risks. Helping you make the most of your vision is our priority. If it's been awhile since we have seen you, call us today to schedule an appointment. New Patients Receive 15% OFF Second Pair of Complete Glasses! "They are polite and concerned about your well being." "Kind courteous staff who waited on me! They young man was very nice!" "Love it here ther nice and kind to u"